Pregnant and nursing women have a lot on their plate. They are providing for the nutritional needs of two people and eating right must be at the top of their list. But with so many internal changes going on, it’s hard to know how much is enough. The truth is, when it comes to vitamin D, most people aren’t getting enough through their diet and exposure to the sun. This group of fat-soluble secosteroids is vital for the healthy development of the baby during pregnancy and the maintenance of good health for the mother. Vitamin D2 (cholecalciferol) and vitamin D3 (cholecalciferol) are the most important forms and the synthesization process begins within the skin when exposed to healthy doses of UV rays from the sun. Some foods are naturally high in vitamin D as well. Vitamin D during pregnancy is vital for the uptake of calcium. If you are vitamin D deficient during pregnancy, your baby’s bones may become too soft. Since many prenatal vitamins don’t include vitamin D, it’s important to take a separate supplement. The current recommended daily dose is 600 IU. In fact, since vitamin D is calcium’s helper when it comes to bone formation, it won’t do you much good unless you are getting enough calcium in your diet. Prenatal vitamins generally contain 150 to 200 mg of calcium. If your doctor recommends more, take the remainder in several small doses throughout the day since your body can only process 500 mg at a time. When pregnant women don’t make enough vitamin D for both themselves and their babies, they run the risk of damage to their own bones. Growing babies need plenty of vitamin D to develop the strong bones that will propel them through life. To boost the supply of vitamin D in their milk, mothers should continue to take a vitamin D supplement as long as they are nursing. However, it is important to note that breast milk alone may not provide enough of this vital nutrient for your baby. As your baby develops, be sure to expose them to early morning or late afternoon sunlight. Your doctor may recommend a supplement for your infant during the dark, winter months. It’s estimated that somewhere between 40 percent and 75 percent of the adult US population is vitamin D deficient. Here are a few tips to help you get your daily dose. The easiest way to boost production is to spend a little time in the sun. Head out for a run in the early morning or a walk in the early evening. The UV rays aren’t intense during this time, but are sufficiently strong to help your body synthesize more of this essential nutrient. Even 20 minutes a day will make a difference. Fatty fish is high in vitamin D. A single serving of salmon provides up to 600 IU. 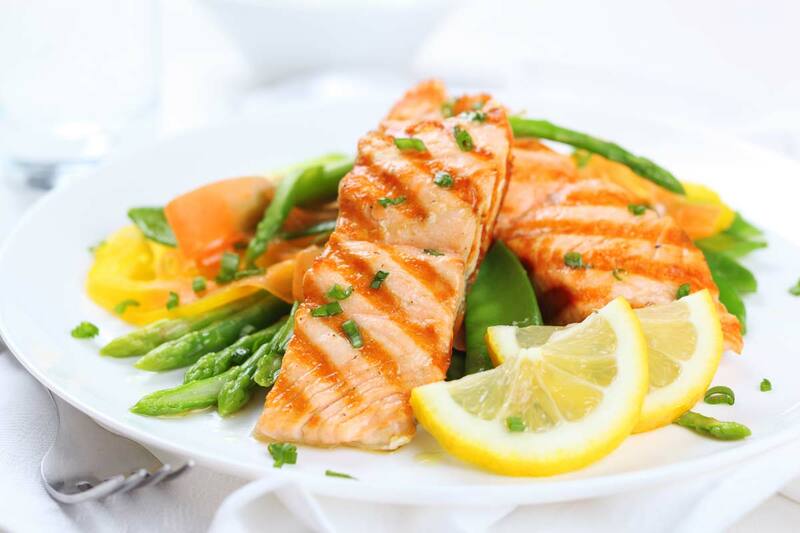 In addition, you’ll get the heart-healthy benefits of fish’s omega-3 fatty acids. If fresh fish is too expensive or simply not convenient for you, keep a few cans of tuna or sardines on hand. Packaging methods keep the vitamin D content high in these foods. In the supermarket, you’ll find milk that is fortified with vitamin D. Yogurt and some plant-based milks are often fortified as well, but you’ll need to check the label. If your vitamin D levels are very low, your doctor may recommend that you take a supplement. Keep in mind that too much vitamin D can be toxic to your system. If you are taking a supplement, monitor your levels on a regular basis. Egg yolks have an average of 40 IU of vitamin D per one egg. While it’s a great way to add the vitamin to your diet, choose other ways to increase your levels throughout the day. The American Heart Society recommends we keep consumption of cholesterol to 300 mg per day, and a single egg contains 200 mg. By choosing good foods and taking supplements when needed, you’ll help your baby grow strong within the womb. Not only that, but you reduce the risk of damage to your own bones. Keep it simple, and include enough vitamin D in your diet for a happy and healthy pregnancy and baby.